Our last evening was spent again in Vegas. We didn’t necessarily have this destination in mind during the trip nor were we certain we’d make it the 705 miles all the way down from Leadville, CO but we did. It was a welcomed stop as we’d been up at the crack of dawn, started the day out at 11,000 feet and 37 degrees and ended in the 90’s. We were worn out from the week and the day’s ride, but energized by our last real night on the road. Though the Hard Rock certainly isn’t what it used to be, at just over $100 a night it was a steal! We booked it in true fashion – at a gas station 55 miles outside of town. We began the night with Mexican and tequila followed by delicious espresso martinis to wake us up. I’m only slightly embarrassed I drank one of these and have now shared it with you. Clearly, however two of these wasn’t enough for our buddy Bill. Mid-drink he fell asleep! Dude, we’re in Vegas. Weak! Ha, he did rally later on though. We took our time to leave the city as some still hadn’t caught up on sleep and we were headed through Death Valley at high noon. We geared up for the last easy 350 miles of this 3,600 mile trip and set off. I couldn’t apply enough sunblock on this run. It was 111 degrees! Going 65/75 as many of these roads were posted much slower than the rest of our roads traveled out west felt abnormally slow. There’s a metaphor here for returning back to normalcy. There aren’t any speed limits posted at 80 mph anywhere in the northeast! Once in California, as we were headed west the picturesque setting sun and orange sky lit the road. This foggy dusk Los Angeles skyline peppered with tall fan palms and rolling hills made up for the inconsiderate and passive aggressive attitudes of drivers around us. There’s something about a sunset that screams time for reflection and the timing couldn’t have been more perfect. We’d joked that I always need to be first or second when riding, but here I was just shy of back of the line and it couldn’t have been better placement – selfishly speaking. I should note, those in front are those who either know the route and/or set the pace. Apologies to Jimmy who noted keenly my motor still needs to be dyno’d. Admittedly, he’s a more experienced rider than I so those times he spent sucking in the exhaust from this 120r were appreciated. I can’t apologize for this motor’s consistent attempt to lift off into flight though! This is the time when you’re bummed the trip is winding down, but ready to get back as the experience has been truly fulfilling and eye opening. You know it’s been worth the expense and time away from family and work when you start to become accustomed to the last week’s way of life and your face has a couple more wrinkles in it. Your gaze is deeper. You’ve seen a lot. We saw a lot. 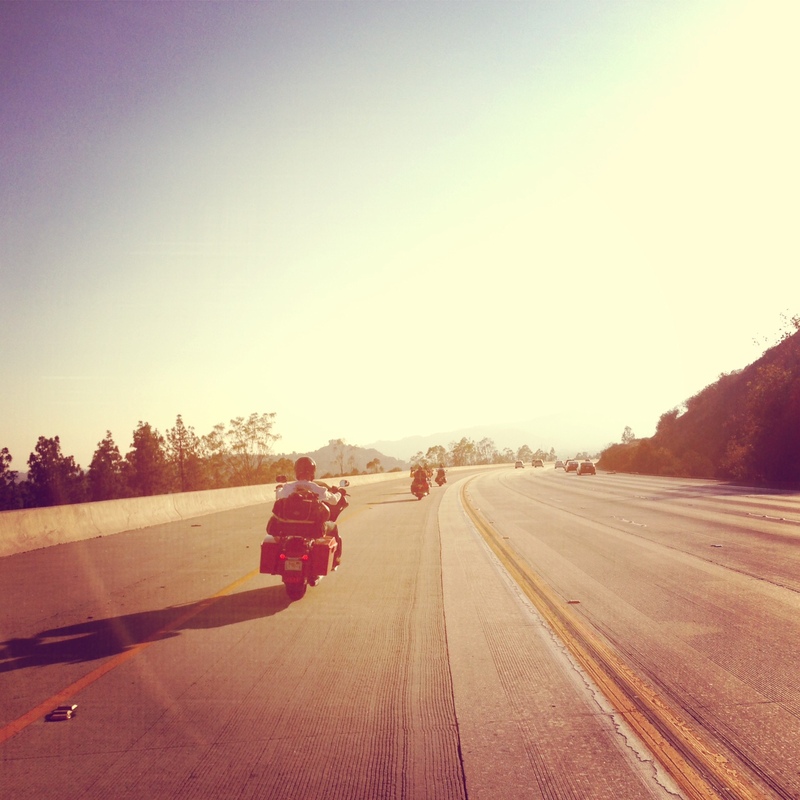 We crossed 9 states relying on our motorcycles and moreover one another. My motorcycle became an extension of me on this ride. I feel a bit lost not on my bike today and driving definitely feels weird. You know you’ve done the right amount of riding when you wake up and your hands are swollen of lactic acid. Mine were every morning. That’s hand and forearm strength building, that’s what that is! We rode hard. We rode hard everyday and every night. You can’t average 500 miles a day for 7 days straight and not. Props to our entire crew. We all did this together. This trip will go down as one of the most incredible and thus memorable to date. From the the deserts, Jackson Hole and Yellowstone, bike week, Beartooth Pass, Bryce Canyon, Independence Pass, all the saloons, challenges and not only not killing one another, but becoming closer this is an experience any group of friends should have. It’s expensive and it takes organizing and time off, but if you ride American this is a must. More detailed posts to come of our rides! Like the article we just got back from Sturgis a second time. The riding is second to none out there! We are going back out on the 75th. I’ve been thinking about riding out 2k miles from Taunton MA. A couple other guys have metioned they are interested. I’m sold, now I gotta get the wife on board to let me do it. She says she would worry to much! We have a crew out of MA and NH planning our trip already. After reading all of your blog posts I’m getting nervous as my bike is a 5 speed 88 2001 Road King. Think she can handle it? Your Blog reminds me of our trip to Sturgis last year. Did 6K miles. Sturgis was just a destination. The ride was the rush. Did about 23 states. Enjoyed the Dragon. Sparked my floorboards the entire way. White knuckle is great.